Lock in a great price for OBT Homestay Chiro – rated 9 by recent guests! 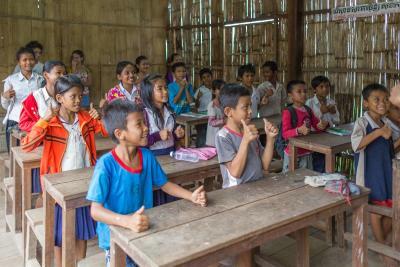 Positive atmosphere, and keep in mind, this is a NGO providing education, higher standards of living conditions and well being for community. The tours offered are very good prices, and support community. Unfortunately, I was traveling with a plan, and did not get to participate in available activities. I regret not staying 2 nights and enjoying more opportunities. 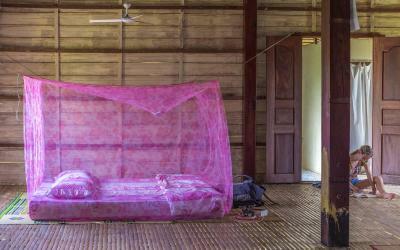 Off the beaten path accommodation- OBT has a very rural but relaxing vibe which was perfect for what I was looking for. Staff was super helpful and friendly as well. Nice and helpful stuff, the bamboo view point is a highlight! Such a welcoming place it staff and volunteers, the villagepeople all in all you meet interesting people. 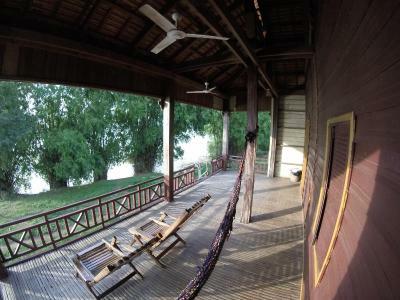 We only regret we did not stay longer as three nights as the riverside bungalow was fully booked as the village was over full with the wedding guest, which took place. My family had a great stay kids could participate in the classes they give to over 300 kids there, and learned about the plastic problem even more. Defn. a place where I would like to go back. And our bungalow was so spacey... food was very good and the trainee staff more then willing and helpful. 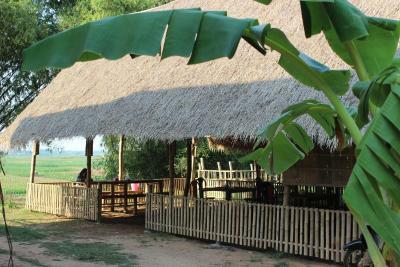 OBT is an experience for everyone who wants to get to know normal life of real Cambodian people. 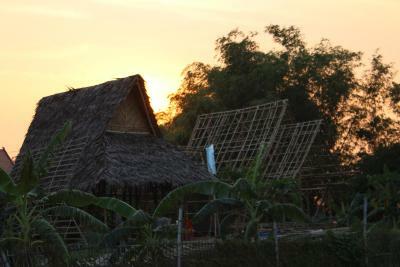 You can stay in luxury bungalows and enjoy bamboo restaurant with view on Mekong fields. 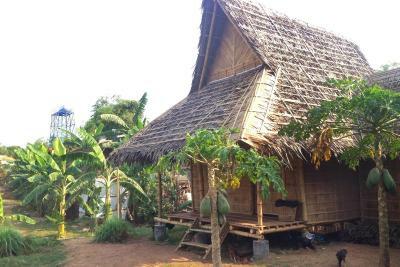 Or you can stay in a homestay with lovely local family and enjoy their daily life. OBT staff is always ready to help with everything you may need, they offer lots of tours (fishing, tuktuk, bikes) to make your stay pleasant. 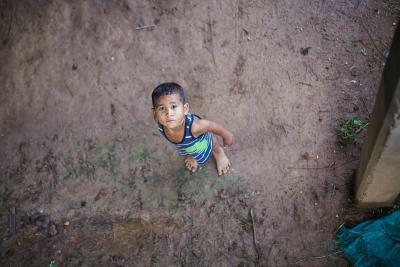 Most important is that by your stay in OBT you are supporting local children to be able to go to school! 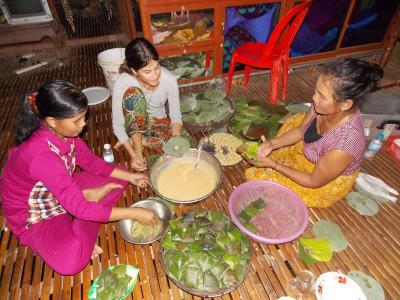 Great opportunity to discover the real life of the Khmer, their culture and their food.. amazing experience! 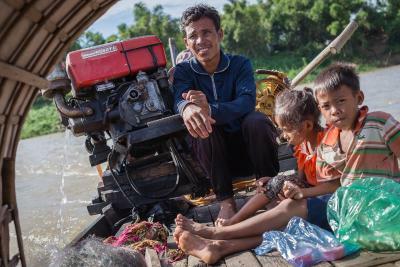 We shared diner in their house, music class with the kids, football, and many other activities with the Khmer inside this village.We loved the two islands around the village that you can reach easily by bicycle. 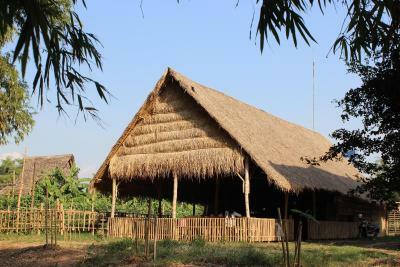 The restaurant of the village is perfect in term of taste and value for money. 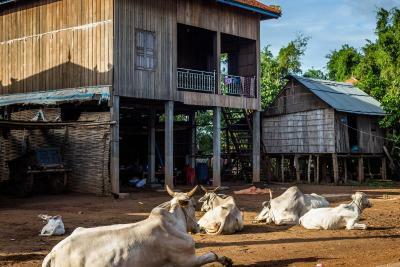 This is probably the closest you can get in a short trip to the core of traditional life of the 21st century in Cambodia. 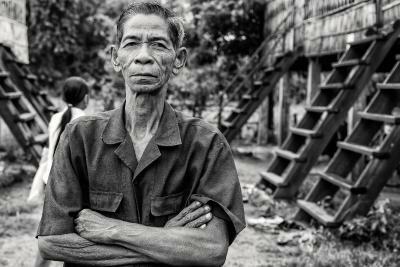 I feel very lucky I went there as I felt very welcomed and had the opportonity to chat with locals in English about their life and hear their stories. I stayed in OBT with a lovely family and had dinner with them every night, and by the rest of my time I explored the area, chilled in their great restaurant by the riverside, helped for a bit with their interesting coconut shells handicrafts, had a beer with the volunteers and went for a swim in the clean river. All their income go straight to the hosting family and the center. So you do a great thing just by staying there. They all always take care of you, make sure youre fine and help you out with whatever you need- tuktuks, tours, bikes and bus tickets. Some units feature a terrace and/or a balcony with river or garden views. 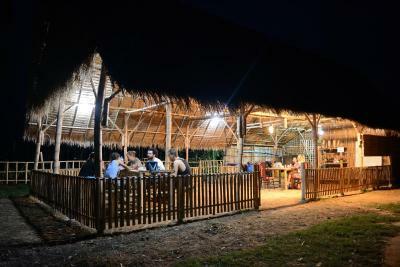 Various dining options including Cambodian, American and Asian dishes are available at the on-site restaurant. 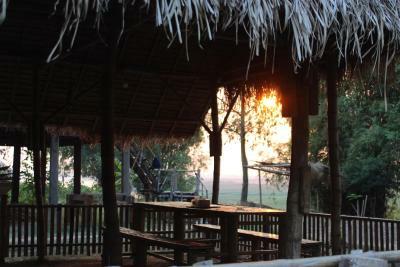 Kampong Cham Riverside Park is 3.5 miles from the family stay, while 7 Makara Market is 3.7 miles away. This property is also rated for the best value in Kampong Cham! Guests are getting more for their money when compared to other properties in this city. 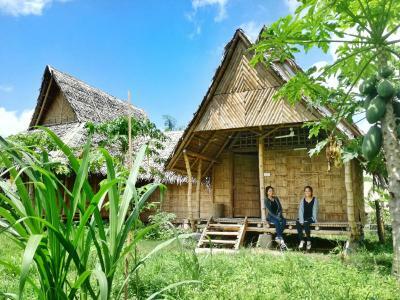 When would you like to stay at OBT Homestay Chiro? House Rules OBT Homestay Chiro takes special requests – add in the next step! 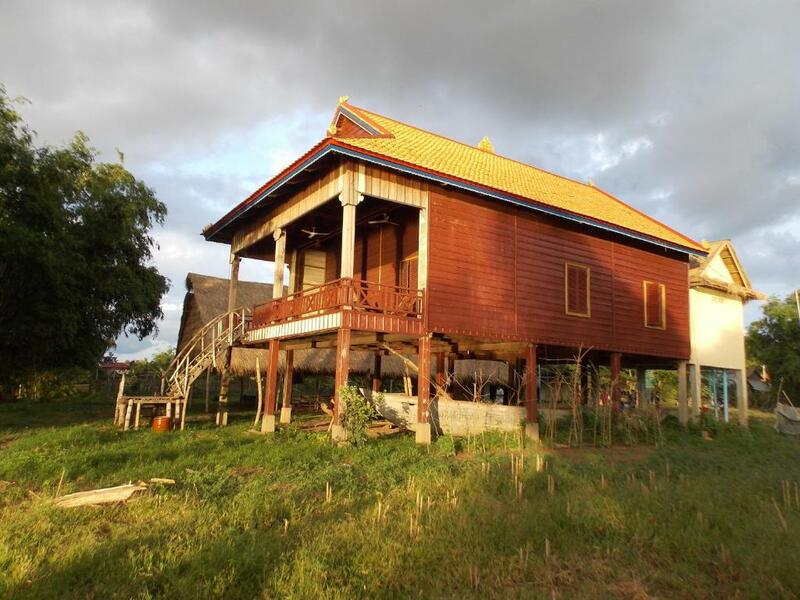 Please note that OBT (Organization for Basic Training) Homestay Chiro is a Cambodian Non-Government Organization registered as a local NGO. Please inform OBT Homestay Chiro of your expected arrival time in advance. You can use the Special Requests box when booking, or contact the property directly using the contact details in your confirmation. 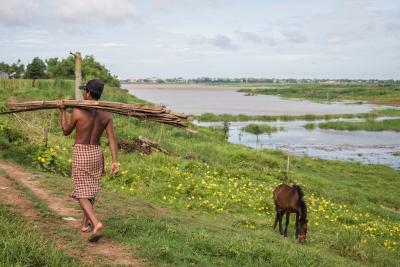 The community nearby wakes up early to avoid working in the heat of the day. Not a problem for us as we did too but if you want to lie in, ear plugs might help. 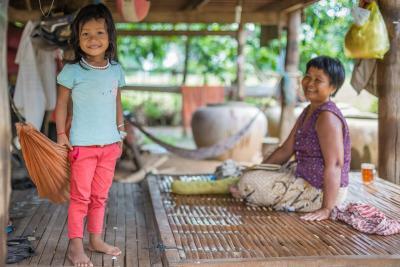 Absolute gem if you want to experience the life of a village and make sure your stay in Cambodia benefits the locals. 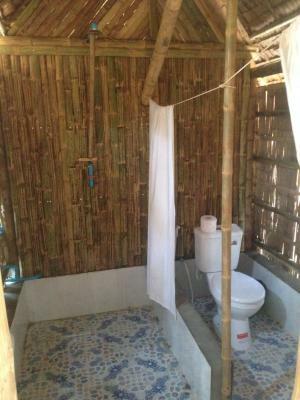 Very comfortable bamboo bungalow, super clean and quiet. Friendly staff at reception and restaurant. It was also of a great interest to learn more about the NGO's actions with the children and their families as well as projects in partnership with another association around plastic treatment. Highly recommended. The bathroom of the dorm was indecent! No toilet paper, spiders everywhere, totally dirty! 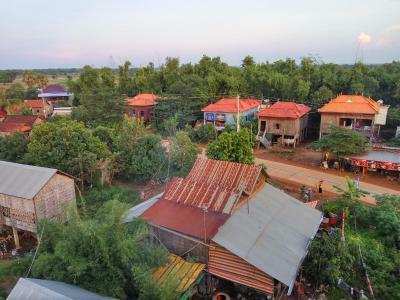 It's far from the city wich is nice for the quietness (but when there is a wedding next door ) but you have to take a tuk tuk for 4 dollars or walk 7km if you are brave. The volonteres who work there are really friendly and dedicate to there work with the kids. The project of the OBT association ( giving school in the afternoon for free to defavorise kids) is great to support an seems to work well. The place is beautiful the food is good and the bungallow is big. Loved every minute of my stay here, such a friendly place. Was such a great experience getting to stay with a local family and experience their everyday culture. Would highly recommend!! Nothing really. 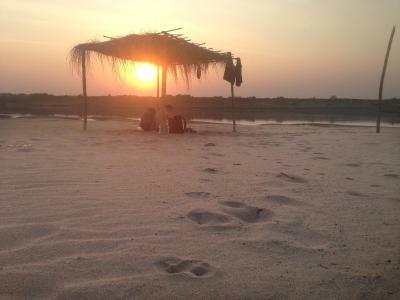 This is a place to disconnect, to embrace another way of life and to take it easy with a coconut in your hands. If you want a quiet place and professionally trained staff, with room service, with no village dogs barking and no locals singing at 6am, go to a resort hotel, not here. My purpose was too relax my mind in a local rural village and this was perfect. 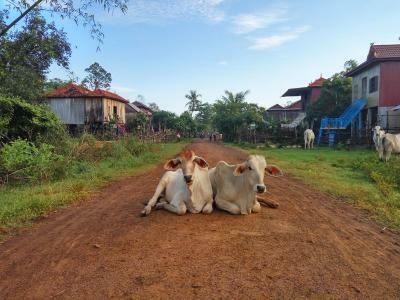 The locals are friendly, the village is easily reachable by scooter and the volunteers really invest time and energy to keep the place running. I hope the NGO will be able to make a difference in the region. There was nothing to not like about stay here. 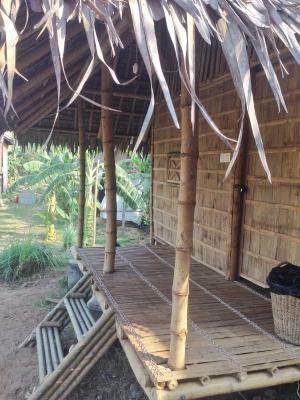 We stayed in the ‘Bamboo Hut’ overlooking the school - it was extremely clean, had a very comfortable mattress with a mosquito net, overhead fan, plus a private bathroom with WC, wash basin and shower. At the front of the hut there was also a balcony with a hammock and a comfortable wooden chair We had all our meals at the OBT’s reputed ‘Bamboo Restaurant’ during our four day stay which, although it is a training restaurant, the quality of the freshly cooked food is as good (if not better!) than what we’ve had in many hotels and restaurants in SE Asia. They have quite an extensive menu, which will cater for all taste, and prices are very reasonable. Furthermore you are supporting an extremely worthwhile cause. All the staff are very friendly and constantly ensure that you are comfortable and satisfied with your stay. Check the activities offered by OBT - we can highly recommend the fishing trip ($5pp). Overall, a wonderful cultural experience. This is such a wonderful piece of earth, I really enjoyed my stay there. 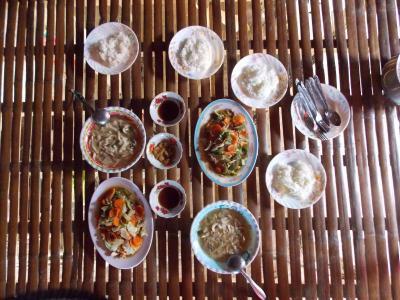 I decided to staying with a family in a homestay instead of taking a bungalow. The kids were able to speak english and also the mother a little bit. I really enjoyed the dinner together and her cooking was amazing! 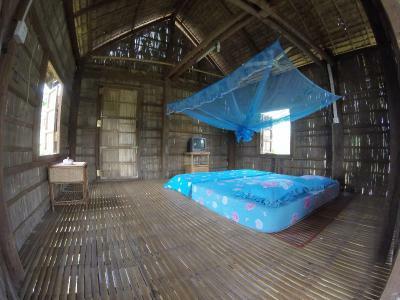 The accomodation is very traditional and authentic, so it is all very easy. 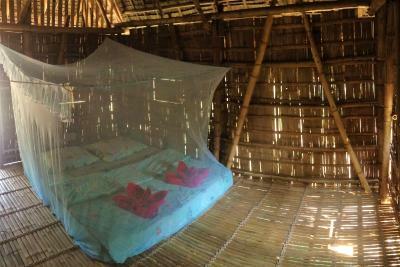 You will have your own matrass with a mosquito net and a fan over it plus a towel is provided. It is just a wonderful experience. Definately would go there again for longer next time, also to support this wonderful NGO and the work that is done there to help the local children and families.